Click here to see what we have been shooting in our in house studio. See the “Skins making of”, how we planned and prevized the promo, then tested all the motion control camera moves in 3d, before going to shoot and driving the motion control camera rigs with the previz data. 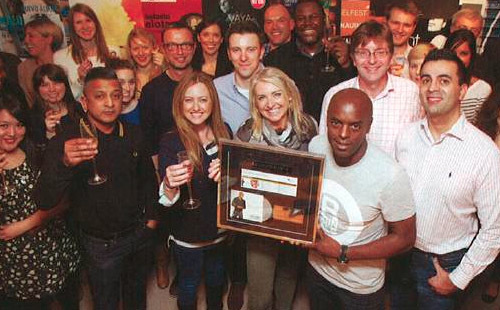 Congratulations to Sky creative on the 2013 PROMAX BDA EUROPE Silver for the 2013 Harry potter promo. 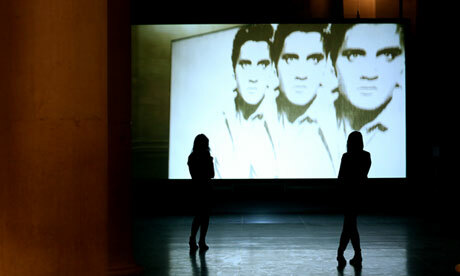 Simon Starling’s new commission for Tate Britain’s Duveen galleries is a cinematic whirl through the museum’s past. Previsualized and shot by the motion control company. See Guardian article. No 1. Compilation album by one of the smoothest men in music. At Lucas stage with Spun shooting raining moccasins for Gucci. Former director of Golden Square Ewan MacLeod is working with The VFXco to widen our client base and develop our digital offering. Check out our sister companies latest commercial reel. Check out our sister companies latest Film reel. 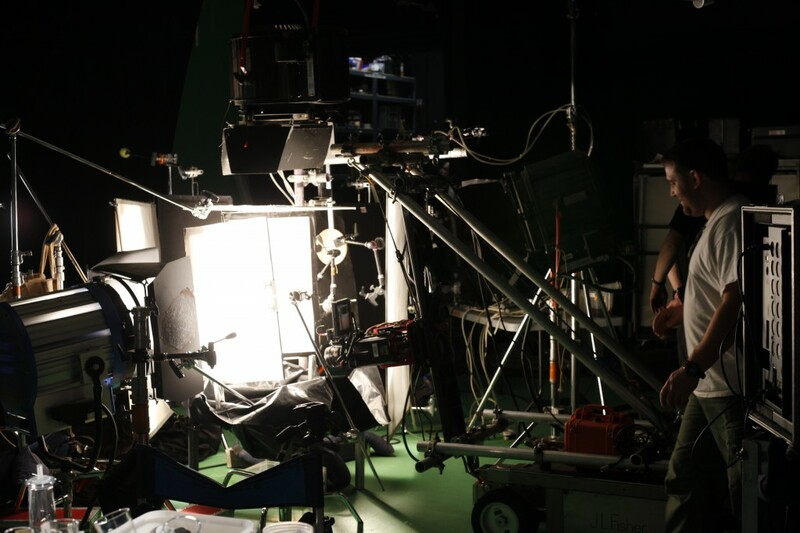 Michael McIntyre shooting opening sequence for his 2012 tour at The VFXco. White Lodge on set for the BFC FASH/ON FILM MENTORING project. “Emilio Da La Morena” directed by Abbie Stephens. On set for the Zulu Winter ‘Key To My Heart’ promo which will be released in early September. To compliment our in-house Alexa package we also have a Red Epic package, again available with both sets of wide and tight Ultra primes. 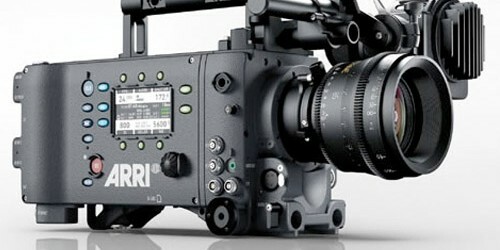 We now have in-house Alexa packages including a set of both wide and tight ultra prime lenses. Ally is a visual effects supervisor with 17 years experience in the industry, previously a Senior Effects Supervisor at Earth, Smoke&Mirrors and before that at Red, his work mainly consisting of commercials for clients such as Panasonic, Coke, Nokia, Ford and Microsoft as well as broadcast design work for C4, BBC, Five and even the occasional film title sequence. New Boutique & commercials facility opens in central London. 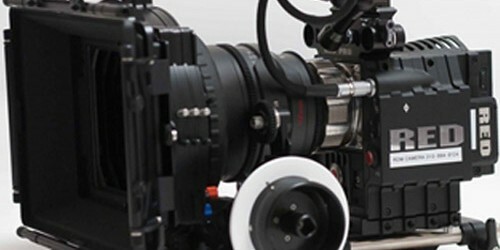 The VFX company has set up a unique “production-studio” to compliment its motion control and visual effects services. We specialise in providing creative and technical answers for the broadcast, commercial and digital media industries. 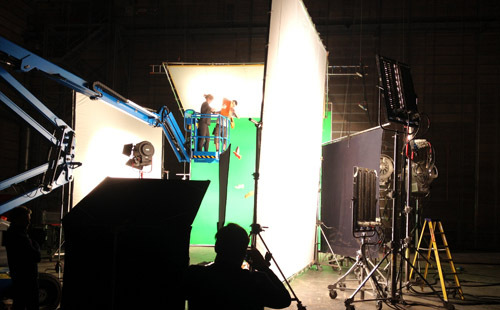 Along with traditional post production and VFX we have our own in house green screen & motion control studio. Our clients can access unique cost effective creative answers in several ways; either utilising one of the individual components (Motion control, Studio, CGI, Flame etc.) – or previs, shoot, animate and composite as one exclusive solution. Imagine a place, beyond planet earth where you can fly through time, discover new creatures and meet the heroes of tomorrow. We have continuously been asked to develop a technique for highlighting individual sports at super slow motion. Check out Box 360. Jane Fielder, Creative Director from Red Bee worked with us to create the new idents for TV2. Carlsberg Export sponsors premium Drama on Sky. BBC Entertainments new promo for the next series of Doctor Who. Toadies wedding and a hint at the death of a key Neighbours characters in the explosion that follows it. Working with Sky creative Mark Paul, The VFXco's team has delivered a brilliant festive campaign that showcases Sky's stars. Wands at the ready...Harry Potter is coming to Sky Movies this November. Every Gucci icon tells a story. What will yours be? Working with Spun films The VFXco have created a series of films to for the new Gucci icon range. Big Brother will return to your screens in the coming weeks and to get you in the mood, Five have filmed/posted a shiny new promo @ The VFXco. The Vfxco were recently commissioned by Minds eye to help generate the seamless BT infinity interactive spot. High heels, handbags and perfume bottles are transformed by a vacuum-forming machine in director Chris Sweeney’s short for the new Fiat 500 by Gucci. The VFXco have been working with love production companies new talent Najma Bhatti to generate this completely CGI cityscape with time-lapse. Studio 66 worked with Spun films to generate a new campaign to promote the Eau Sauvage fragrance. To coincide with the launch of their new mobile phone, Nokia became Channel 5's 'Channel Sponsor' with the Lumia handset taking centre-stage in the new Studio 5 idents. 66 have recently completed the post production on the "Samsung Possibilities" Commercials. Project iPad magazine commissioned 66 to create the live action cover of the lastest issue, featuring Boardwalk empires Steve Buscemi. Working with Sony's Darren Stokes, Studio 66 were commissioned to produce 3 Kungfu Idents for the sony Max Channel. Smallville "The Road to superman promo", the Emmy Award winning show that redefined the story of Superman, is coming to a close.